The Vans BMX Pro Cup, the world’s leading platform for elite BMX park terrain competition, embarks on the third and final stop ahead of the series’ World Championships, as the industry’s best professional men and women BMX riders return to Guadalajara, Mexico on August 24 – 26. Anticipation begins to build as the Vans BMX Pro Cup series narrows in on the title race with all eyes on current series point leader and reigning 2017 Vans BMX Pro Cup World Champion Larry Edgar, as he goes up against 2017 Guadalajara event winner Jason Watts, top Pro Tour contenders Kevin Peraza, Dennis Enarson, and 2018 podium regular Alex Hiam. 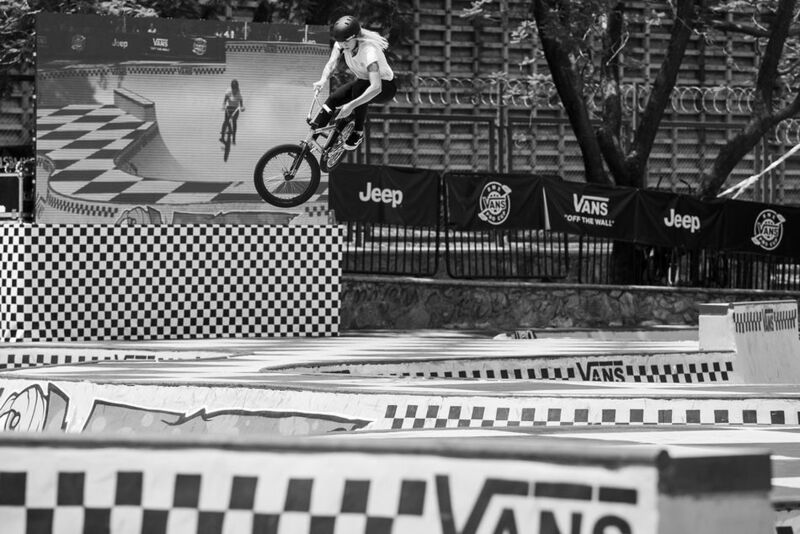 With only two qualifying opportunities left in the season, the Guadalajara Vans BMX Pro Cup will kick-off with a regional qualifier on Friday, August 24. Open to eligible men and women pro BMX riders, the top seven regional qualifier finalists from Friday’s event will automatically advance to the Pro Tour semi-finals on Saturday, August 25 and the top three regional qualifier podium winners will join the 2018 Tour Pro roster, in addition to a coveted invite to the official Vans BMX Pro Cup World Championships in Málaga, Spain on September 22. 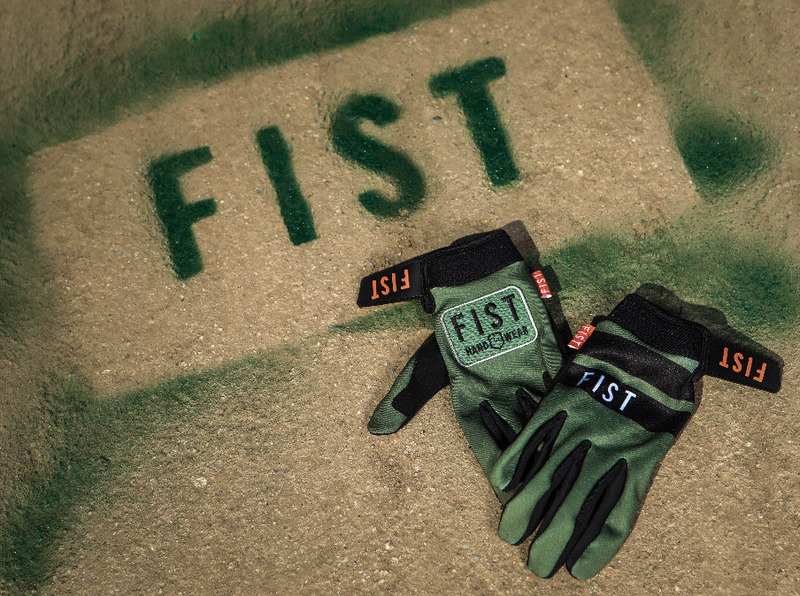 Frontline is Caroline Buchanan's newest collaboration with FIST Handwear it has a military green battle vibe. "Frontline to me represents my battle and efforts to comeback from injury & adversity and be back on the Frontline of sport and at the top of my game again. For anyone who is at the forefront of their careers/goals or who is battling in their own lives to be the best & toughest versions of themselves. This glove is for you! " FISE is extremely proud to offer the very highest standards to international athletes, media and fans at all our World Series stops. Despite our very best efforts to secure the necessary technical and financial guarantees, the Hurricane Team and CEO Herve Andre-Benoit have been left with no choice but to cancel the 4th stage of this year’s World Series in Budapest. The difficult decision means that the UCI BMX Freestyle Park, UCI BMX Freestyle Flatland and the World Skate Roller Freestyle events that were due to take place in Budapest will no longer go ahead. 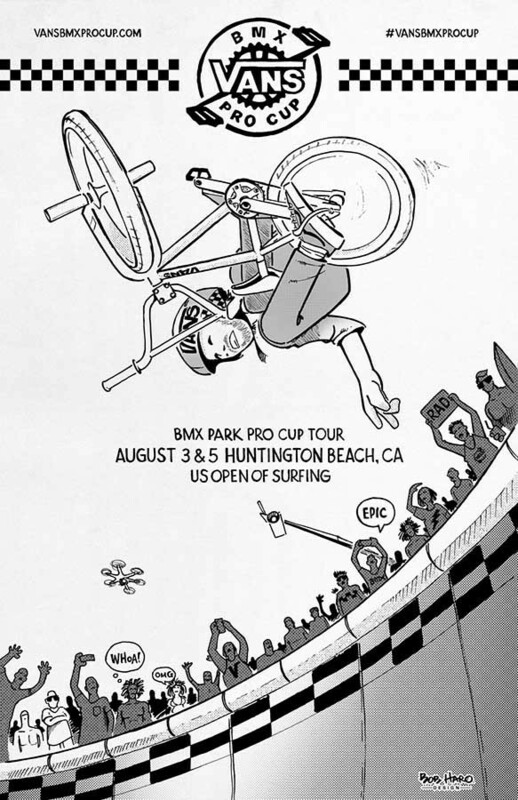 The Vans BMX Pro Cup Series returns to Surf City USA on August 3 & 5, gathering the world’s best professional men and women BMX riders for the highly-anticipated second stop of the 2018 Pro Tour. After taking gold at the first Pro Tour stop in Sydney, reigning 2017 Vans BMX Pro Cup World Champion Larry Edgar will defend his title against top contenders such as 2017 Huntington Beach event winner Dennis Enarson, podium veteran Sergio Layos, and Australia’s rising star Alex Hiam. The Vans BMX Pro Cup series field will also be challenged by recent Woodward East regional qualifier podium winners Clint Reynolds, Alex Leibrock and Rim Nakamura who have all earned their place on the series’ Pro Tour roster. 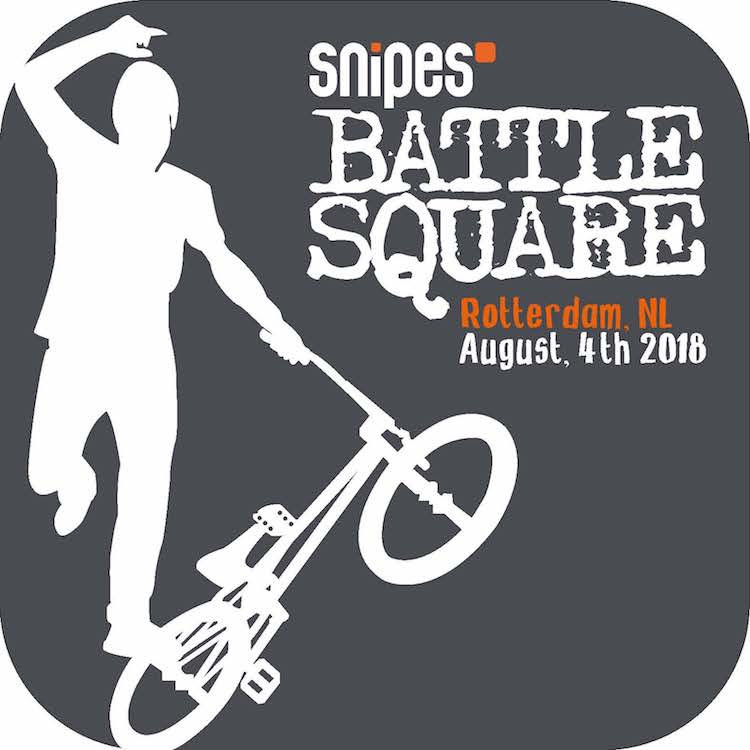 SNIPES Battle Square is bringing both a NEW BMX Flatland event and a fundamentally new event format to Rotterdam. – On Saturday, August 4th, 2018, 14­ of the world’s best professional BMX Flatland athletes together with OPEN Class amateur riders will be competing and showing spectacular moves and tricks on their BMX bikes. 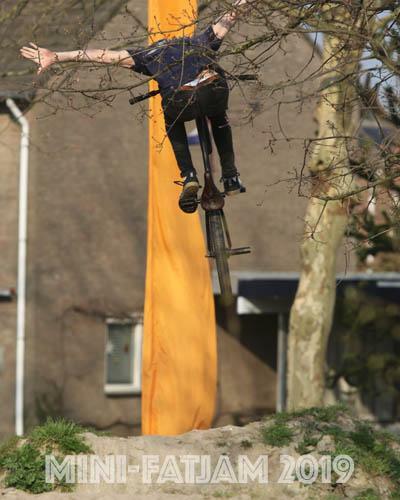 This fascinating freestyle discipline represents the symbiosis of BMX riding and Breakdancing. 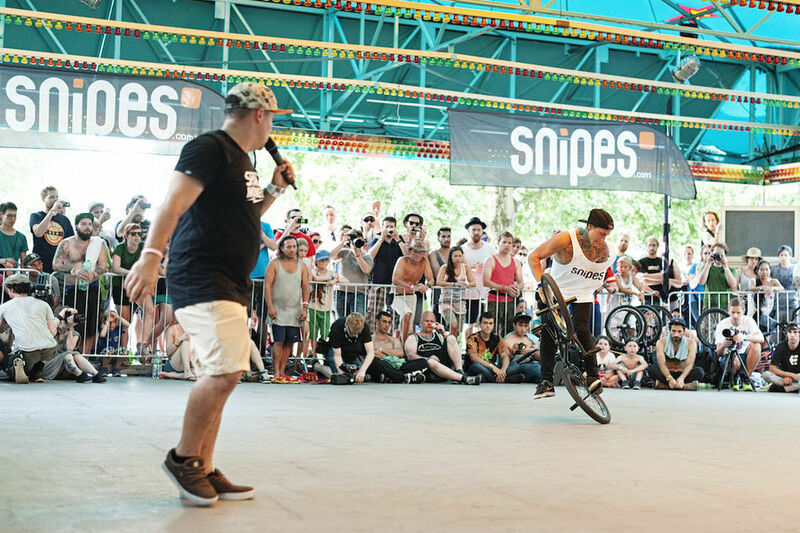 SNIPES Battle Square is bringing both a NEW BMX Flatland event and a fundamentally new event format to Rotterdam. 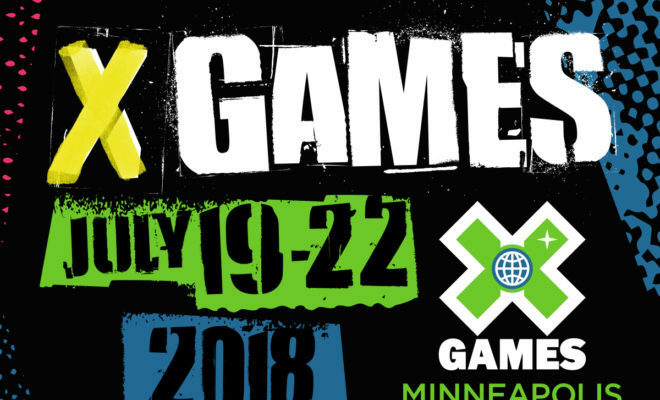 – On Saturday, August 4, 2018, 14­ of the world’s best professional BMX Flatland athletes together with OPEN Class amateur riders will be competing and showing spectacular moves and tricks on their BMX bikes. 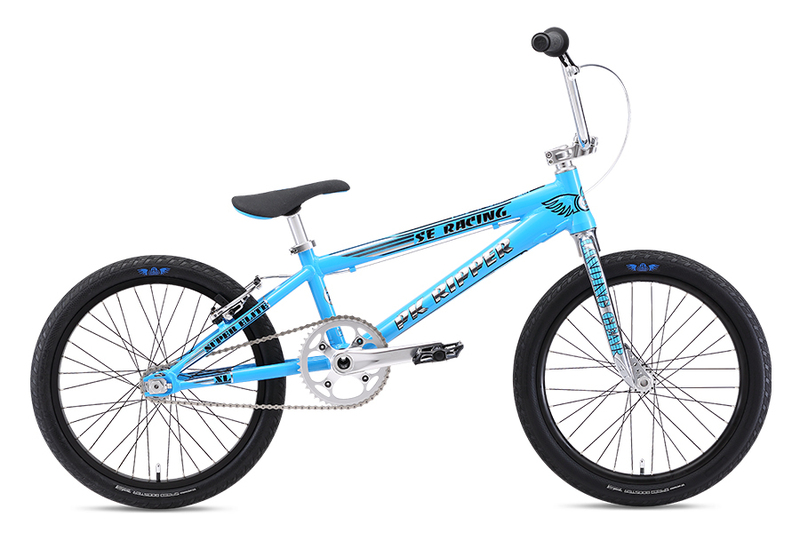 This fascinating freestyle discipline represents the symbiosis of BMX riding and Breakdancing. On the first Saturday of August 2018 the last Dutch great “ship of state” SS Rotterdam and SNIPES Battle Square will present a unique event format with this new BMX event. In Rotterdam, the SNIPES Battle Square will start its tour of seven stages across Europe in 2019.